Starting point for test preparation. 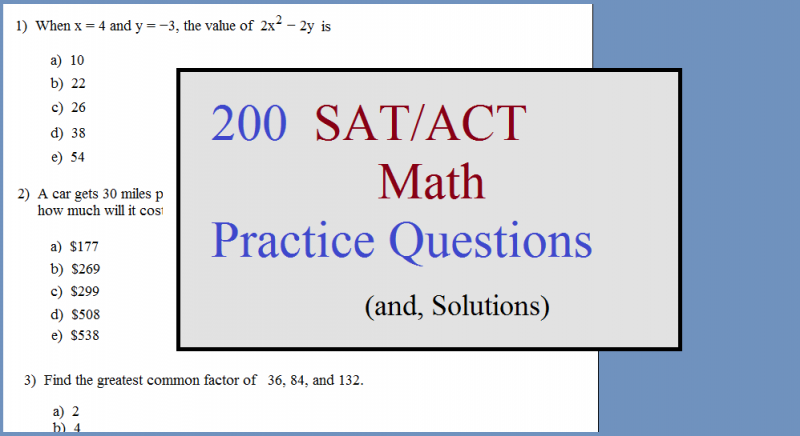 Math exercises and links to sample questions, study tips, and useful SAT / ACT resources. 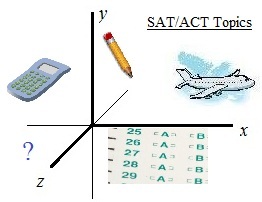 Math Standardized Test Prep Package... Improve time management and problem solving skills with this packet of 550 multiple choice questions. Convenient .pdf files containing questinos and detailed solutions from this site. Order the zip file here.